Herndon, Virginia, August 6, 2018 — Two education technology leaders have joined Fuel Education® (FuelEd®), a leading provider of online and blended learning solutions for students in grades K–12. Brian Mills has been named Vice President of Business Development and Nicole Franks has been named Vice President of Marketing. Mills and Franks are both former educators with proven track records of success in delivering end-to-end digital technology and curriculum solutions for school districts. Mills previously served as National Vice President of Sales, West at Achieve3000, responsible for driving $26 million in new business and supporting more than $32 million in annual renewals. Mills also worked at McGraw-Hill Education, serving as the Senior Director of Sales-Subscriber Services and District Manager-Mid Atlantic. Mills previously held sales roles at Campus Management Corporation, Scantron and Blackboard. Mills began his professional career as a teacher in the Loudoun County Public School system. He has also supported education providers nationwide in delivering personalized learning solutions. Mills earned a Bachelor of Science in Education from Duquesne University and a Master of Education in Instructional Technology from George Mason University. Franks previously served as Global Marketing Director for Corwin Press, leading marketing strategy nationally and across the company’s international offices in the United Kingdom, Australia, Canada and Asia. Prior to Corwin, Franks was the Director of Product Management and Marketing at Pearson Education, where she led the design and launch of the award-winning iLit digital reading program, in addition to roles as a product manager and curriculum specialist. Franks was a former educator in Texas, Illinois and Maryland. She earned a Bachelor of Science in Interdisciplinary Studies from Texas A&M University and a Master of Education in Reading and Literacy from Benedictine University. Fuel Education partners with school districts to deliver personalized learning and transform the education experience inside and outside the classroom. The company provides innovative solutions for pre-K through 12th grade that empower districts to implement successful online and blended learning programs. Its open, easy-to-use Personalized Learning Platform, PEAK™, enables teachers to customize courses using their own content, FuelEd courses and titles, third-party content, and open educational resources. 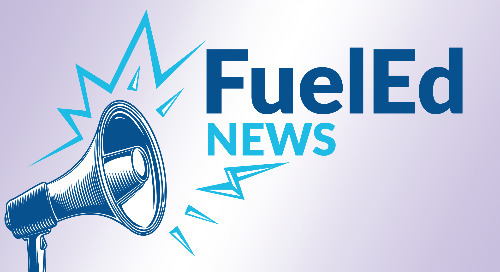 Fuel Education serves more than 2,000 school districts, offering one of the industry’s largest catalogs of K–12 digital curriculum, certified instruction, professional development, and educational services. To learn more, visit fueleducation.com and Twitter.